By Pablo Gómez-Escolar Arias, PICUM Advocacy Trainee. The immigration detention of children is an issue that is increasingly in the public consciousness. There is growing consensus that it is an untenable practice, based on human rights and child welfare concerns, and that it is also ineffective and unsustainable as a matter of policy. Depriving a child of liberty is an extreme measure governed by clear human rights standards. Even in the criminal justice setting, depriving children of liberty is only pursued in cases where it is absolutely necessary and for the shortest possible period of time. What, then, of the many children who are estimated to be detained throughout the world due to their migration status? How can it be acceptable to lock up a child just because they or their parents have migrated? It is not. Immigration detention of children is always avoidable and constitutes “a form of structural violence,” according to Manfred Nowak, former UN Special Rapporteur on Torture and Independent Expert leading the UN Global Study on Children Deprived of Liberty. Immigration detention is never in the best interests of a child, and there are always non-custodial alternatives. And yet the practice persists. 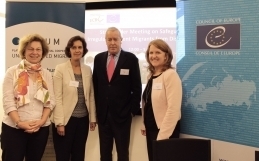 On 4 and 5 October, lawyers and advocates from across Europe met in Brussels to discuss strategies to end child detention for immigration purposes, as part of the second annual Legal Seminar on EU Law and Undocumented Migrants organised by PICUM and European Migration Law and hosted by the law firm White & Case. This blog highlights some of the key issues and strategies discussed during the seminar. Photo: Participants of PICUM’s Legal Seminar. In recent years, there has been growing consensus among human rights experts that immigration detention of children is a human rights violation and is never in the best interests of a child. In a clear statement against this practice, the UN Committee on the Rights of the Children (CRC) and the Committee on the Rights of Migrant Workers (CMW) issued a Joint General Comment in November 2017 affirming that detaining children solely on migration grounds can never be justified, and that alternatives must be pursued by states. Meanwhile, the European Court of Human Rights has issued several judgments finding that states violated the rights of children (both accompanied and unaccompanied) in detaining them, and in failing to duly consider and pursue alternatives. The Court has emphasized that even when detention conditions are not themselves inhuman and degrading, the accumulation of mental and emotional distress for the child deprived of liberty may amount to inhumane, degrading treatment or torture (Article 3 European Convention on Human Rights ECHR). Globally, states have recently committed in the Global Compact on Migration to move away from the practice of child detention for immigration reasons, and towards promoting non-custodial solutions. Although we can see progress at the international level, EU and national legal frameworks seem to be at a standstill or even regressing. In his September 2018 State of the European Union speech, President of the EU Commission Juncker announced the Union’s aim to increase and accelerate forced returns. 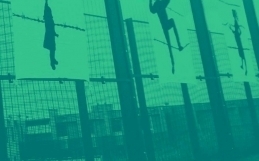 The new proposal to recast the EU Return Directive expands the grounds for detention and enlarges the definition of “risk of absconding”, throwing open the door for the increased use of detention, including for nearly anyone who crosses a border irregularly. Similarly, the currently-stalled proposals to reform the Common European Asylum System (CEAS) permit children’s deprivation of liberty for migration-related reasons and also make it easier to detain people. For instance, proposed revisions to the Reception Conditions Directive (Articles 2.10, 2.11 and Rec. 19) broaden the concept of “risk of absconding”. And according to Article 2.3 of the proposed revised EURODAC regulation, member states may use “administrative sanctions” (including detention) for people who don’t comply with efforts to obtain their biometric data, such as fingerprints and facial images. Although none of these proposals have yet become law, several member states have been emboldened by the European Commission’s insistence to change their own national laws to further a similar deterrence-oriented agenda. At the national level, many governments are stepping backwards on their commitments to migrant children. One such example is Hungary, where migrant children are automatically detained, both accompanied by family members or separated, without an individual assessment or a best interests consideration, in violation of international and European human rights law. There have been numerous rulings condemning the Hungarian administration as well as interim measures issued by national and regional courts, which have been disregarded by the government and therefore not implemented in practice. Another striking example is Belgium, which has recently reinstated family detention after prohibiting it for ten years. A new detention centre for migrant families with children was opened in August 2018 in Steenokkerzeel, just next to the runways at Zaventem, Belgium’s busiest airport, on the outskirts of Brussels. Despite the Government’s efforts to make the facility “child-friendly” by building a playground (see featured image) and having teachers come to the facility regularly – child specialists give a different picture. Belgian’s Children’s Ombudsman has reported that during his visits to the centre children told him they felt “profoundly sad” and hopeless. Photo: Speakers at PICUM’s legal seminar. Assessments by psychologists and paediatricians play a key role in determining the best interests of a child but are often disregarded. Paediatric experts have concluded that even brief periods of confinement can be highly stressful and traumatic for children. A pilot study in the UK highlighted the impact of stress and showed that the youngest among children detained tend to suffer mainly from delays in language and social development and behavioural dysregulation, while older children and adolescents are more likely to experience post-traumatic stress, anxiety, depression and suicidal thoughts. The UK’s Royal College of Paediatrics, Royal College of General Practitioners and Royal College of Psychiatrists have called for an end to detention of children without delay. They cite well-established evidence of the long-lasting impact it has on the physical and mental health and development of children. Bedwetting, increased aggressiveness, refusal to eat and drink and self-harm are only some examples of the detrimental effects of detention on children. In the midst of these concerning developments, we can still find some examples of promising practices. Non-custodial measures have proven to be successful in countries like the UK, which since 2010 allows families facing return to remain in the community rather than be detained. Likewise, a pilot study conducted by EPIM on alternatives to detention in three European countries highlighted the benefits of case management in facilitating engagement with the immigration procedures to work towards case resolution, without removing people from the community. In Bulgaria, a country where immigration detention of children is broadly practiced, a big push by civil society eventually led to introduction of a law prohibiting the detention of unaccompanied children. However, despite the explicit legal prohibition, they are often detained in practice, as has been denounced by civil society organisations. What can legal professionals and civil society organizations do to narrow the gap between a troubling reality, and clear human rights standards? The strategy should be multi-pronged, and involve lawyers, civil society as well as professionals from other sectors, including health and child protection. In particular, it is clear that litigation needs to be paired with advocacy that promotes the use of non-custodial measures, relying on existing examples of good practices, and bringing child protection authorities into the discussion at an early stage. Photo: Participants of the Legal Seminar discussing strategies to end immigration detention of children. Communities play an important role in mobilizing to support undocumented children and their families who are facing deportation. Health professionals and other community pillars – as well as children themselves – can be critical voices in shifting the narrative and reminding people of the human impact, and indeed the absurdity, of some policies. As is the media, which is instrumental in shaping popular views. National ombudspersons can also be important partners in efforts to raise awareness of the impact of this practice on children’s wellbeing, and to bring about policy change, as the example of Belgium shows. 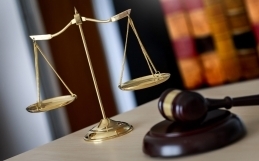 Lawyers can draw more explicitly from the strong foundation of international human rights standards – the case law of the European Court of Human Rights and guidance from the United Nations Convention on the Rights of the Child (CRC) – as well as standards under the EU Charter of Fundamental Rights concerning the best interests of the child and due process. There is also abundant medical literature on harms to children caused by detention that can be cited during legal proceedings. In addition to litigation in national courts and before the European Court of Human Rights, legal professionals might also consider the opportunity to bring a case on child detention before the Court of Justice of the European Union, which to date has issued no ruling on this question – including with an NGO as the named plaintiff in a public interest case. Finally, states should be reminded of their recent political commitment through adoption of the Global Compact on Migration – which will become formal in December 2018 – to work towards ending child immigration detention and to ensure the availability and accessibility of alternatives to detention. This is a good opportunity to promote non-custodial solutions, favouring community-based care arrangements. Lawyers and advocates should take advantage of this momentum to push for practices that affirm the rights of migrant children. For an overview of the resources, including the presentations shared during the legal seminar, click here. On interim measures not respected by Hungary, see e.g. ECtHR, ‘R.R. and Others v. Hungary’, Application no. 36037/17 . On rulings condemning Hungary for unlawful detention of migrants, see e.g. ECtHR, ‘ Ilias and Ahmed v. Hungary’, Application no. 47287/15  (currently referred to the Grand Chamber).